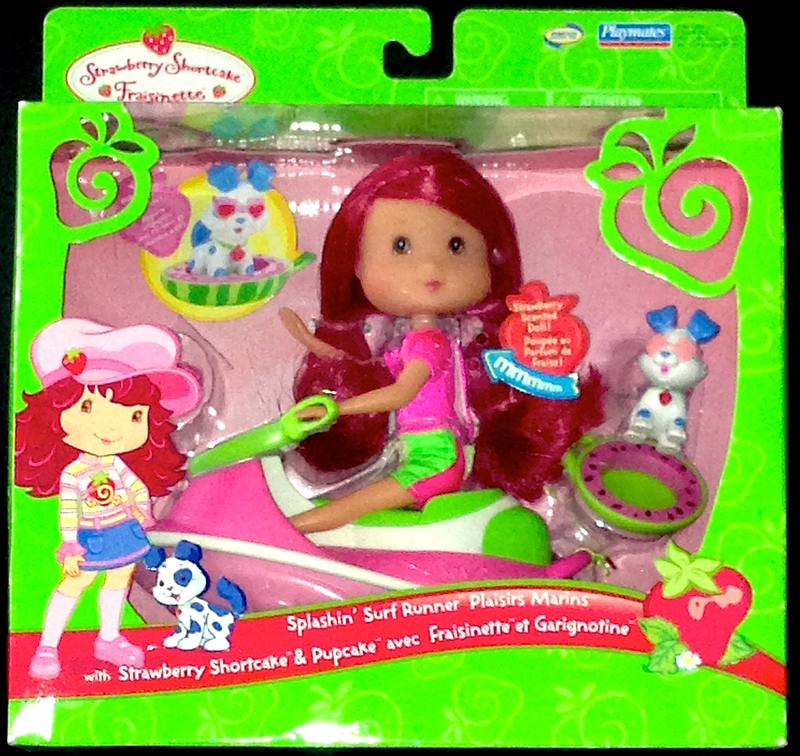 View cart “Strawberry Shortcake Doll Flavor Swirl Denim Skirt 4 Years and Up” has been added to your cart. 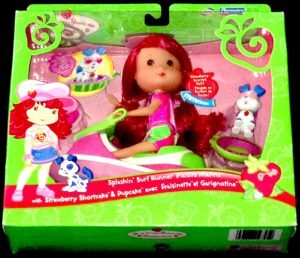 Strawberry Shortcake doll and Splashin’ Surf Runner from Playmate’s A World of Friends collection. 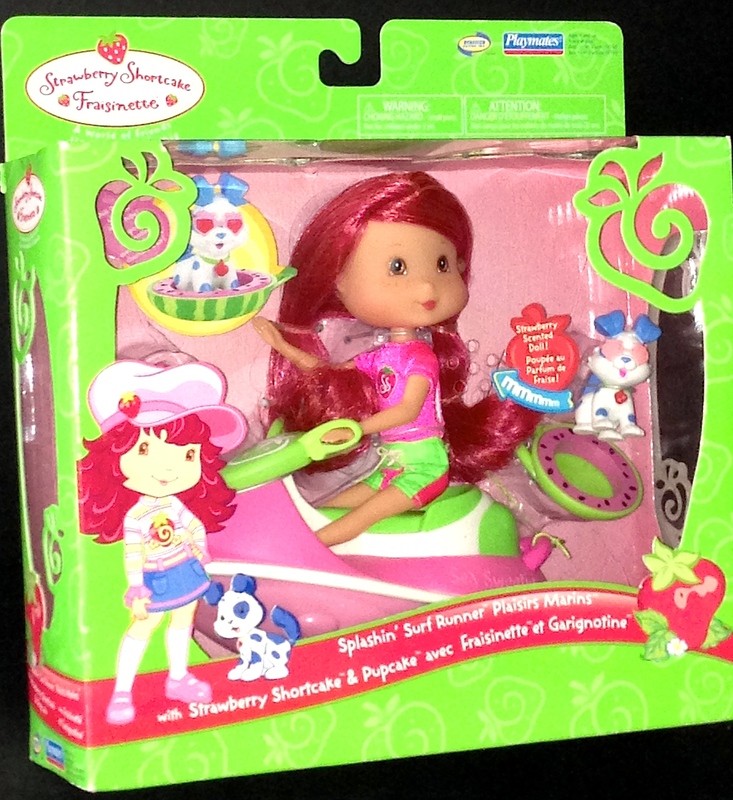 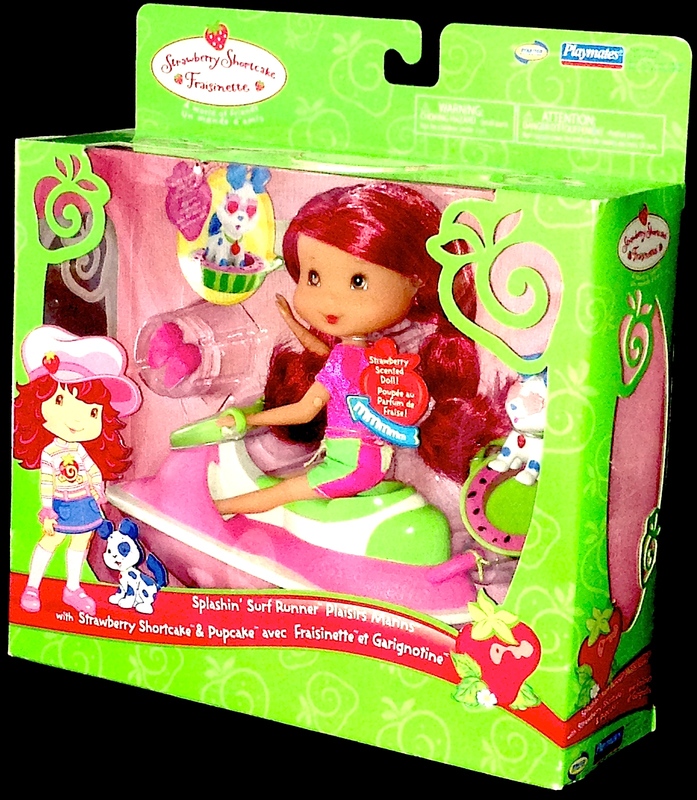 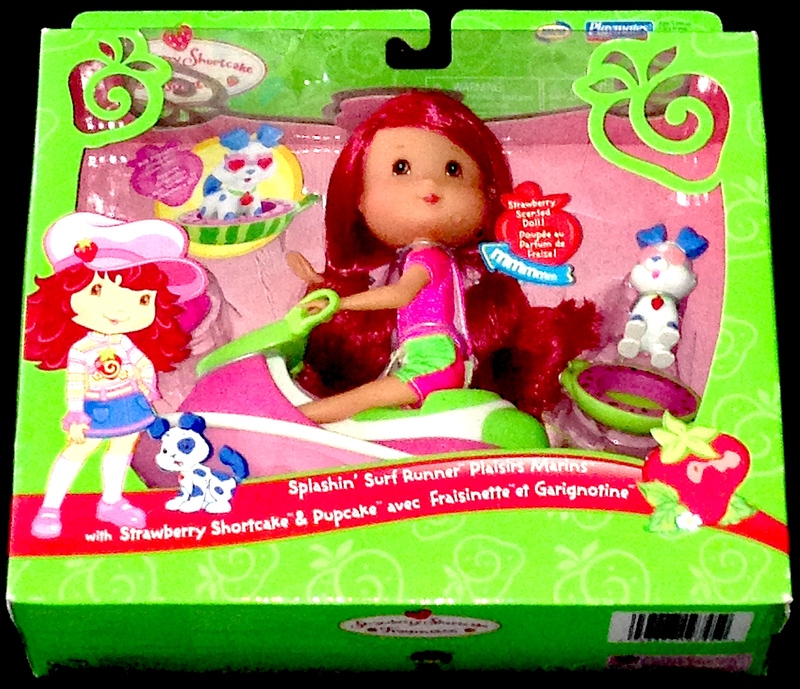 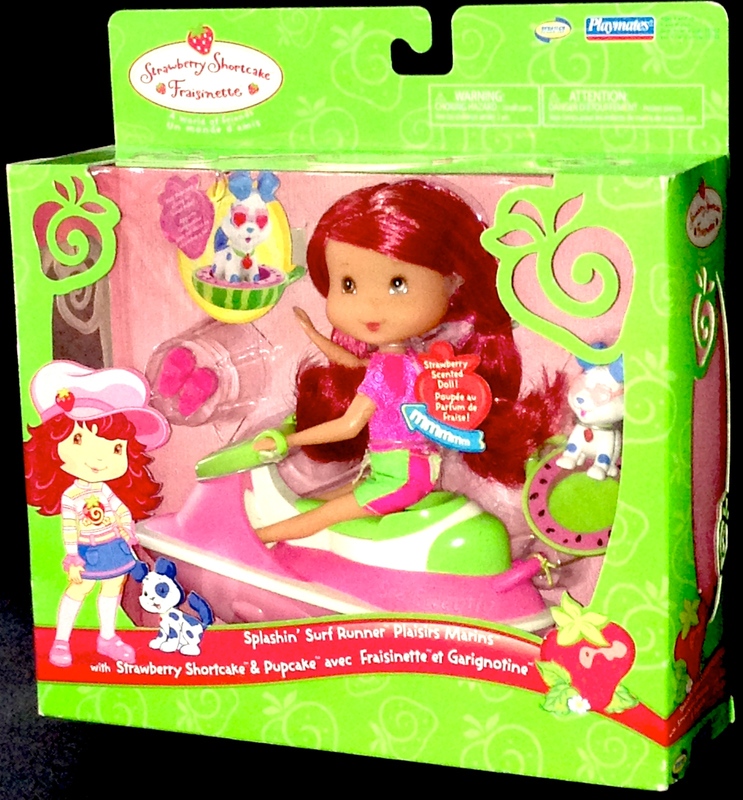 Strawberry Shortcake loves to go splashing through waters on her Sea Sweetie Splashin’ Surf Runner jetski. 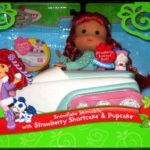 Her little dog Pupcake joins in the fun while riding along in his special splashing inner tube! Strawberry Shortcake’s Splashin’ Surf Runner is pink and green with white trimmings. 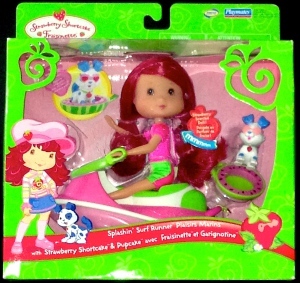 A large white strawberry adorns the front just below the jet ski handlebars. 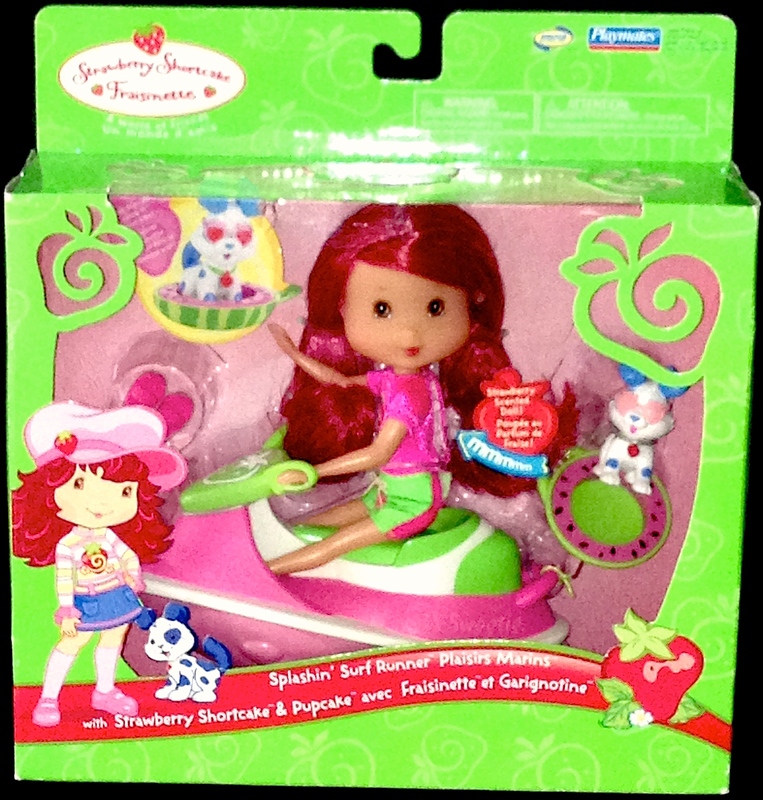 Strawberry Shortcake wears a pink and green wetsuit. 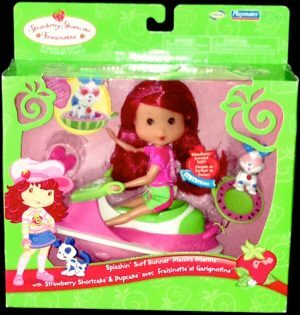 Also included are a pair of pink sandals. 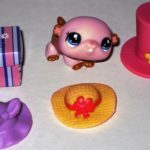 Pupcake wears pink strawberry lens glasses and a strawberry doggie tag. 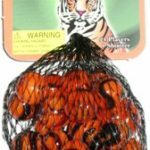 Push to make them go! 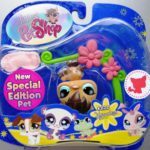 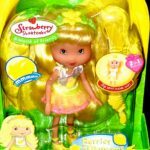 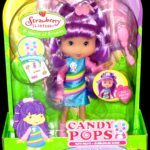 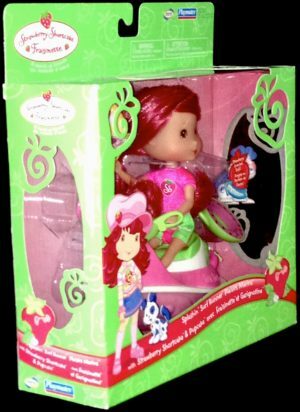 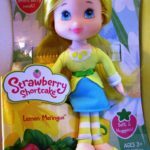 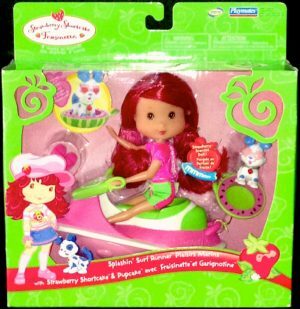 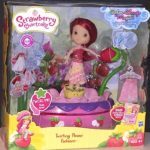 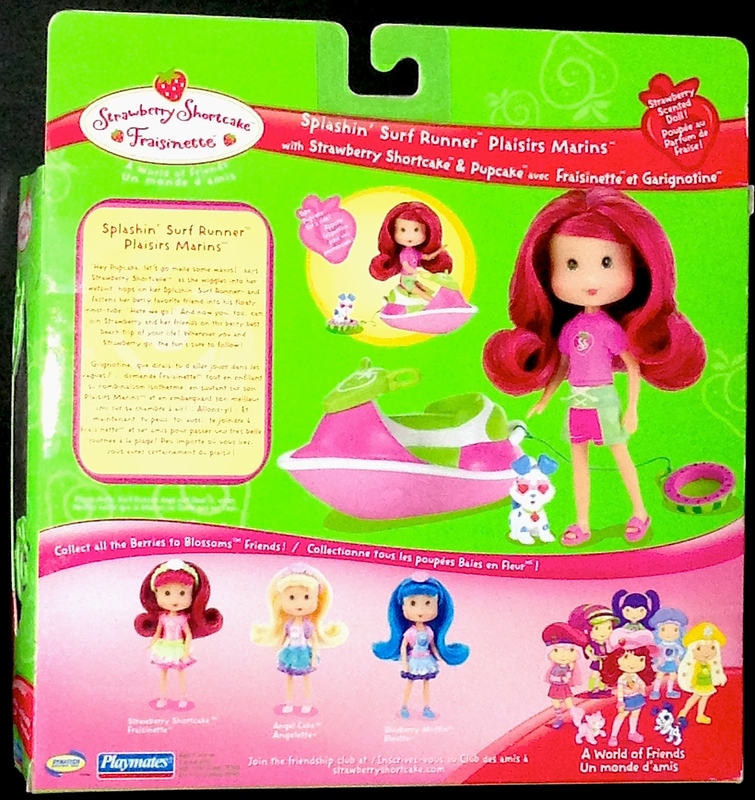 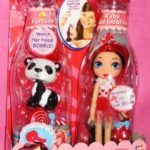 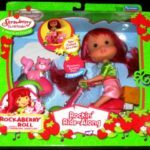 Strawberry Shortcake is a strawberry scented doll from her Playmates A World of Friends collection.